Are you ready for your Monday Memory Verse? Me too! This verse kept popping up at me everywhere the last few days. There are many things in this world that we do not understand. We never will. We are not supposed to be able to "explain" it all. Our God is Sovereign. He's in control. Always has been, and always will be. There's great comfort in knowing that He has us all in the palm of His big hands. Shew. Now that's a major relief. My children already know this one by heart. They learned it in a song from church. Girls, when we learn scripture, even through song, we are hiding His Word in our hearts. 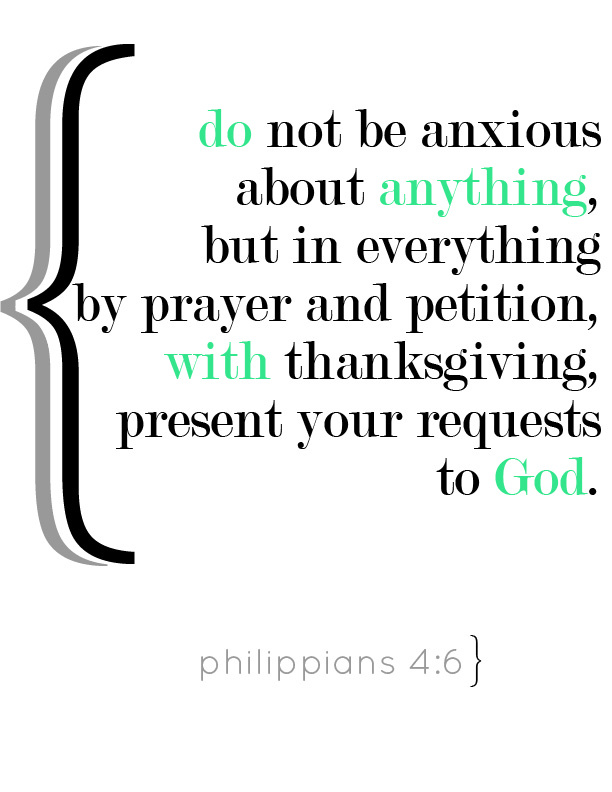 "Do not be anxious, about anything, but in everything, by prayer and petition, with thanksgiving, present your requests to God." 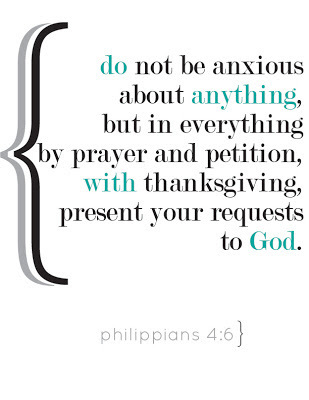 When we feel those feelings of worry, anxiety, and fear rising, we can go quickly to His Word. His Word that is now hidden in our hearts. Just like my little girl's. We believe His Word even more when we use it in our everyday lives. It becomes a part of us. It lives in us. It dwells in our hearts ready to comfort, soothe, and minister not only to ourselves but to others. Write it down, girls. Start reciting it. Speak it out loud. Get cozy with it this week. You are being changed by Him day by day. What a beautiful sight.